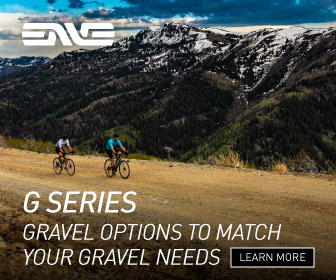 If you’re a regular visitor to the Gravel Cyclist website, you’ll know this site is about the gravel cycling experience. My friends and I are not elite bike racer types. We are regular people with jobs who lead a cycling-centric lifestyle and have a lot of fun while we’re at it. In my case, I’ve been riding a bicycle of some kind for the past 26 years. 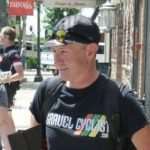 I enjoy riding with the Gravel Cyclist crew and people I meet during my travels, but I am not afraid to ride by myself. As a 40 something year old bloke with no children, no pets (I used to own pet chickens!) and a sometimes flexible regular gig work schedule, I have the freedom to ride and explore almost unencumbered. Not everyone has this luxury. Recently, I returned from my Australian homeland. The seasons are reversed in the Southern Hemisphere, but the 2017 Australian summer didn’t follow the usual weather patterns associated with this time of year. Stifling heat one day, cool and pleasant the next. Nevertheless, I had to plan accordingly. Most of my riding was solo, the exploration was near and far, and on many occasions, across some pretty desolate landscapes. 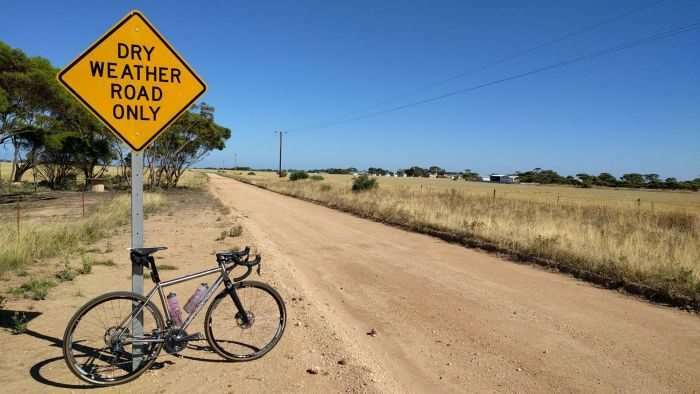 However, the parts of Australia I did ride in are reasonably well populated, and if help was needed, it wasn’t too far away. But, it would be a different story if I was riding into the Outback proper. A Plan – Not a tangible object, making a riding plan is one of the most important things you can do. I utilize various online mapping resources to plan a route for loading into my Garmin navigation device. I always consider support options – most of my routes link towns together. Random exploration is a fine thing, but depending on the time of year, especially if you wander way off the beaten track, that can land you in trouble. 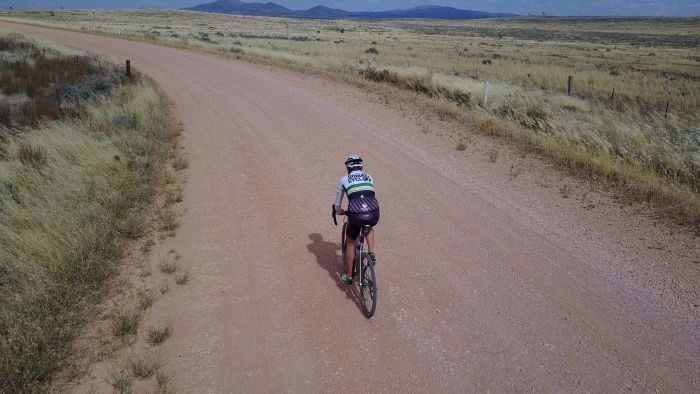 Check out my tips for Route Planning and Gravel Road Map Resources. Tell your friends or family – Now that you’ve made a riding plan, tell someone about it. In my case during my 2017 trip to Australia, it was my parents. Thanks mum and dad for looking out for me! They did call a couple of times, just to check up on me You can make your whereabouts known with the help of modern technology. Mobile phone apps such as Real Time GPS Tracker display your location and the track you have taken (accuracy is dependent upon the timeframe of updates), providing you have phone service. I used this app many times during my training for the 2016 Dirty Kanza – mostly so my friend Dr. Pain could see how much time I spent laying around in front of convenience stores in a coma! Food and Hydration Part 1 – Always carry more food and water than you need. I love Zefal’s Magnum water bottles. They hold one litre / 33oz of fluid and are very inexpensive. Ordinarily, I would recommend a hydration pack, but I seem to tote about a drone quadcopter these days during solo rides, and that needs its own little backpack. Don’t you hate these first world problems?! My Zefal bottles usually contain Gu’s Hydration Mix, but feel free to substitute with your personal favorite. In the case of Gu, I also carry a tube of Gu Hydration Drink tabs, for refill opportunities. 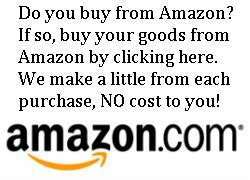 This also saves money in the long run versus buying soft drinks, etc. Food and Hydration Part 2 – Typically, I carry along eight individual Gu Energy Gels (regular or Roctane formula), or a multi-serving Gu flask – these flasks aren’t cheap, but they save the mess of individual gel packets (15-serving refill options are available – regular Gu and Roctane formula), and the flasks roll up for convenient storage. Simply put, they are the best gel flasks on the market today. For gels, I like to use the top of my bib short leg grippers as a place to store them – two for each leg. The remainder are loaded into one of my jersey pockets. Alternatively, there are plenty of top tube storage options for food – the Specialized Vital Pack is a good option, as is the Revelate Designs Gas Tank. Finally, I carry several Gu Energy Chews and some solid food options, such as Lara Bars. Home-made energy bars and rice cakes work a treat as well. Spare tube(s). For longer rides carry at least two tubes – this also applies to tubeless. Multi-tool or allen keys such as a 4mm, 5mm and 6mm. A multi-tool with a chainbreaker and spare chain link are useful items to have. I love Fixit Sticks, see my review of that product with bicycle mounting bracket, HERE. Tyre levers (Fix It Sticks now has a tyre lever add-on for their Replaceables option). Tyre boot. Park Tool offer a boot product; alternatively, wrappers from energy bars, or even money!, can serve as a tyre boot. There are more Tips on what to carry, at our Useful Pointers Link, part of our Beginner’s Corner. Phone – You may or may not have phone service when you’re riding off the beaten track. For that reason, place your phone into “Airline” mode, or turn it off altogether. Your phone will burn through battery, searching for signal when there is none to be found. Save the battery if you need it. Common Sense – Examine the weather forecast. It isn’t worth risking your personal safety in bad storms or extreme heat and cold. Slow down, read the road surface ahead. Don’t take big risks descending. Deep patches of sand or gravel on a corner can be trouble. 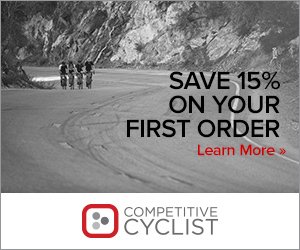 Crashes are part of all genres of cycling, but you can mitigate the risk factor. Have Fun! – Take photos! 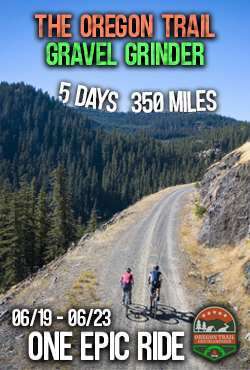 If you’ve knocked out a sweet ride and would like to share it with the Gravel Cyclist audience, please contact us. For more riding tips, check out our Useful Pointers. You can also see more useful articles in our Beginner’s Corner. Finally, to see the sort of gear the Gravel Cyclist crew uses, ranging from tools, clothes, food, wheels, grease, etc, please click HERE. 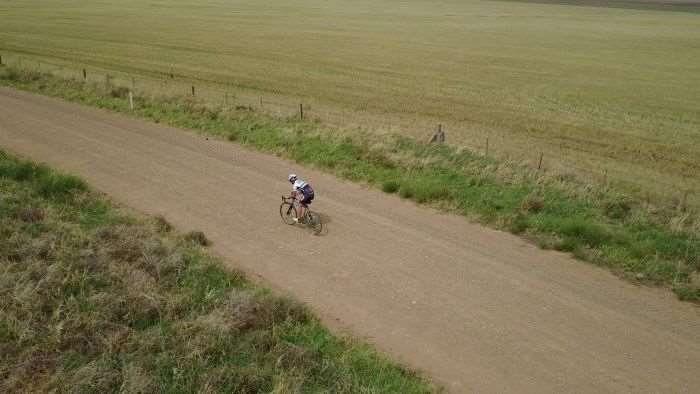 VIDEO: Australian Gravel – The Copper Triangle Loop with Drone footage! Good list. I ride alone frequently in my rural NH county. My rides are not as long or as adventurous as yours. I do get lost once in awhile. A lot of the dirt roads I ride don’t have road signs. Just purchased my first mapping bike computer – Garmin 820 for that reason. Can’t add much to your advice — but I much prefer a good reliable mini-pump to CO2. Last year on the Mount Rose Rumble, I stopped several times to help riders whose CO2 systems failed, or had one more flat than the number of cartridges they were carrying. With a good hand pump, you never run out of cartridges. Bob, agreed on a pump… I sometimes carry a small mini pump as a backup. In the case of a puncture, I use the Co2 cartridge to pop the tubeless tyre into the bead… else, it rides a bit lumpy! Thanks for the link. I live in small town in Hillsborough County, about 1hr due west of Nashua in the Mt. Monadnock region. Those pic’s you posted makes me feel homesick. I stay on Hilton Head Island SC for the winter. The only dirt road I ride here is HHI’s 12 mile beach of packed sand. Hope we can get you and some of your friends up to NH in warmer weather. The Mount Rose Rumble in Aug. goes right past my house. It isn’t a big deal event like Dirty Kanza; but a fun event and a great way to see rural NH. Great information. I am just getting started as a gravel guy. Down here in the Texas heat, I can’t carry enough water. I drink a ton on my rides. I can now carry 5 large water bottles on my bike. I hate wearing a camel back in the heat. Thanks for all the tips on your site. It has been great fun learning about this world of cycling. 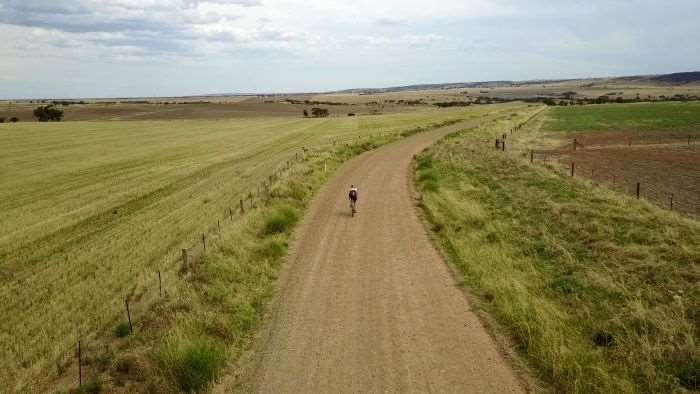 Thanks for chiming in Alan, and welcome to the fun and mad world of gravel cycling! I’m impressed you carry five water bottles… two in the bottle cages, one under the frame?, two behind the saddle? Or, two in the jersey pockets? Two strapped to the front forks. I will send pics after my ride today. That would fab… I have often wondered how that affected steering? The plastic card stock that is part of the packaging on many tires make great tire boots. Free and light. Cut a few pieces, stick them in your toolkit. Nice suggestion, that stuff looks to be pretty durable too. You comment about carrying a chain break but is there any associated parts like a chain connector that go with that? Also I have had several friends wreck/break a derailleur hanger, would that be a another small part that could be a life saver? Great tips! Do you know of any services that either provide tracking information to friends/family or that enable you to call for help if you are out if cell service range? Some of the roads I ride don’t have service for several hours and I’ve wondered what I might do in an emergency when riding alone. Thanks! Good stuff. I guess the one thing missing is the knowledge to bring along. I can handle some of the basic repairs, but not a broken chain (of which I’ve suffered a few). JOM and others: would you list the basic bike-fix know-how you think we should “carry” with us? JOM if you ever go to Texas you must ride in the Texas Hill Country. 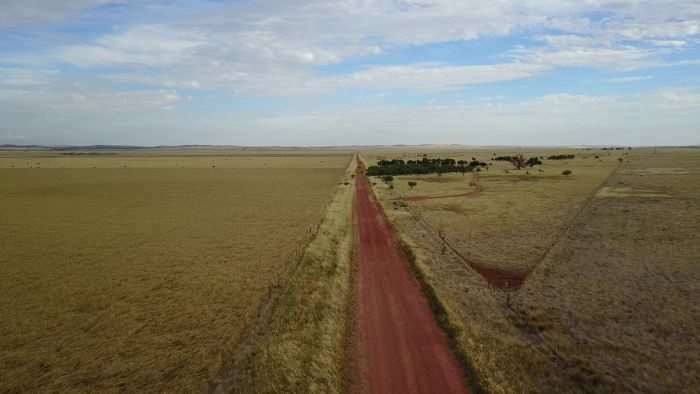 I was down there doing the Texas Stampede 1200k and because of not enough training my stomach went out because I was riding in the lead pack and red lined. The next day I was in the sag vehicle helping out other riders that was still in the rand ride. I hate to say this but it was almost enough to make a grown man cry when I saw the beauty of the Texas Hill Country. I have been all over the USA and the Hill Country can hang with any of the areas. It’s a must see/ride.